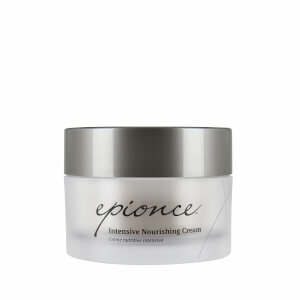 Epionce Milky Lotion Cleanser drenches your skin in a veil of cooling, cleansing calm. The non-lathering, soft facial wash goes on smooth to clear your pores of dirt, oil, and debris for a more radiant complexion. Ideal for normal-to-dry skin types who want a refreshing, soothing, creamy cleanser. This is ideal for post-treatment cleansing. Apply to wet skin and massage gently. Rinse thoroughly. Pat dry. Water (Aqua), C12-15 Alkyl Benzoate, Petrolatum, Butylene Glycol, Glycerin, Glyceryl Stearate, PEG-100 Stearate, Cetearyl Alcohol, Pyrus Malus (Apple) Fruit Extract, Caprylyl Glycol, Cetearyl Glucoside,Citrus Aurantium Dulcis (Orange) Fruit Extract, Ethylhexlglycerin, Hexylene Glycol, Hydroxyethylcellulose, Lavandula Angustifolia (Lavender) Flower Extract, Lilnalool, Limonene, Phenoxyethanol, Phoenix Dactylifera (Date) Fruit Extract, Zinc Pyrithione. Love Epionce products. They are pricey, but they deliver excellent results. I love this cleanser. It cleans well without over drying skin. I even use it to take off my makeup! I used this everyday and once a wk I mix this with a bit of the foaming cleanser. I use this cleanser in the winter when my skin is a little dryer - my usual cleanser is the Foaming Facial Wash by Epionce - but this one works well when my skin is feeling a little dryer. Very gentle. This cleanser is great for sensitive skin. I would rather have had a cleanser a little more sudsy. This one does not suds up. Still does a good job cleansing the skin and doesn't leave a residue. Have used this cleanser for years after dermatologist recommended it. Skin still smooth and supple at seventy. This is great stuff. This cleanser is extremely gentle and great for my dry skin! I love this cleanser. It's a perfect product for combination and sensitive skin. Nondrying and balances without leaving my skin feeling tight. This product was perfect when I was going through a series of chemical peels, however when I was done it was a bit too heavy and felt like it left a film on my face. But I figured I'd use it for an eye make-up remover and it worked great!! now I find myself buying two cleansers! i just want to thank the skincare rx for the wonderful suggestion of the amazing cleanser milky lotion cleanser from eoinionce adn the medical barrier cream has made my redness dissapear adn my skin felt velty soft .i have kertosis pilaris and it heal in three dys i beenusing the products. This cleanser is super soft and almost feels like a lotion. I enjoyed how smooth it made my skin feel, but I missed the feel of a rich lather.